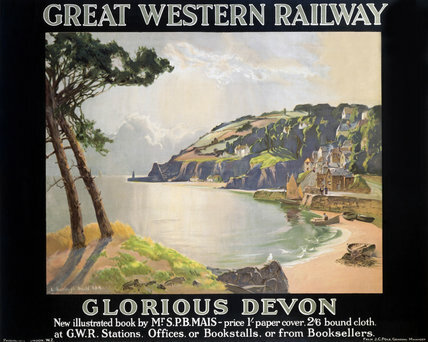 Great Western Railway poster. Artwork by L Burleigh Bruhl. View of fishing harbour and beach with village in background. 1015 x 1269mm. 'The Cornish Riviera', GWR poster, 1923-1942.